I do. Actually, I believe in the magical power of technology. Something quite extraordinary happened to me today. As I was getting on the NYC subway, I hear this guy playing the saxophone. His music was really good. I mean real good! Since the launch of the Periscope app, I have been playing with it, looking for interesting stuff to broadcast (like my #travelroulette experiment). So as I hear this guy’s tunes, I get my Iphone out and start Periscoping him. 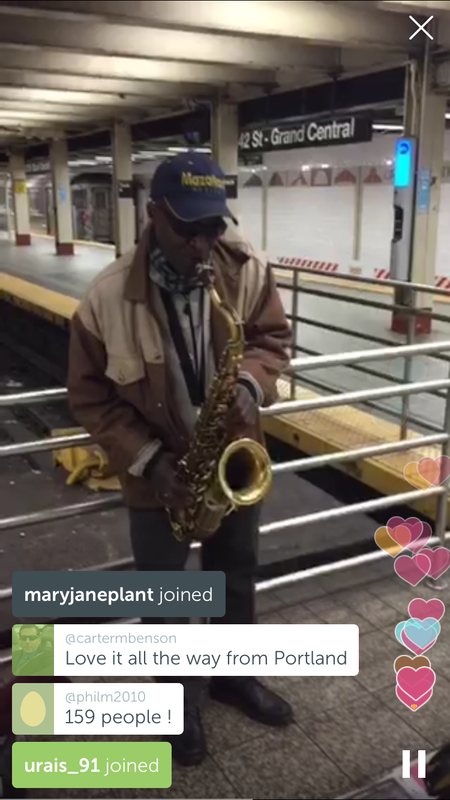 I thought that good live music from NYC subway would surely get some some attention. 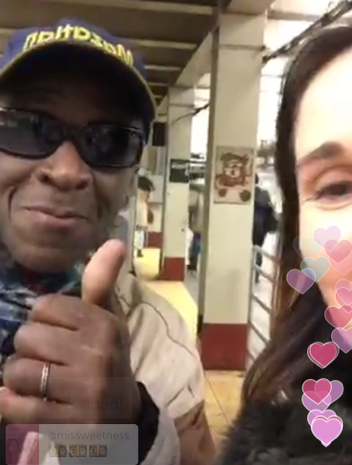 In a few seconds, over 150 people joined in from UAE, London, Belgium, Italy, Scotland, etc… They were complementing his music, requesting songs, and begging me to tip him (which I did, twice!). I told him that he was playing for an audience an international through my Iphone. He couldn’t believe it. I showed him the app and explained how it worked. In 4.50 min of footage attracted over 2,000 hearts (equivalent to favorites or likes) and generated apprx 2h30min viewing time! What was supposed to be a simple subway ride magically turned into a wonderful shared experience. I carried on with my commute with a smile on my face and an unexpected sense of lightness and gratitude. If, you feel like creating some magic into your life, download the Periscope IOS app and share your best moments with the world!